Happy new year, everyone! I know I say this every year, but 2018 absolutely FLEW by. Looking back over 2018, I had quite a few exciting milestone moments; my Southampton map kicked off a lot of local interest in my work, in March I quit my job to go freelance, I made new friends from blogging and craft fairs, and my shop is growing month by month. Also, my lovely Martin proposed in December so that was a fantastic way to end the year! 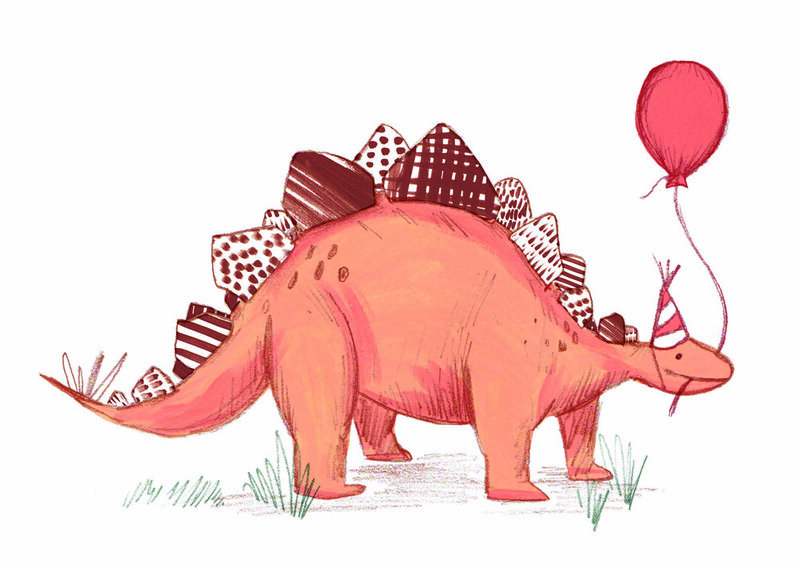 This year, I want to update my illustration portfolio and reach out to publications and possibly agents. I want to be commissioned for children’s books, book covers and editorial illustration, so I want to create a fresh body of contemporary work covering a variety of subject matter that reflects my dream jobs and clients. I’m going to set myself mock briefs and projects based on things that interest me (eg. books I’ve read, places I’ve visited) and create illustrations in response. I’ve already got a few themes in mind, including my favourite book Watership Down, and I’ll be sharing my work here and on instagram. I’m so lucky to have a room dedicated to my business at home. Over time, I’ve built up lots of stock and collected materials and equipment to kit out my studio. But lots of stuff brings mess and disorder! And with a house rabbit in tow, we have a very chewed up and messy carpet! I want to rip out the floor and replace the carpet with wood or vinyl, refresh the walls with a coat of paint and decorate it to make it feel like a creative and professional place of work. I also need it to be a great space to film my YouTube videos and invite guests round for my podcast! I’ll keep you updated on any DIY projects on my YouTube channel. Since going freelance, I finally ticked ‘start a podcast’ off my bucket list, and thus began Art and Stuff! I’ve had two wonderful guests so far and we’ve discussed things that have inspired us in our creative practises, all while having a laugh. I’ve also had a semi-dormant YouTube channel and a neglected blog (this is unfortunately my first post since OCTOBER!) - oh, and a newsletter that hasn’t seen the light of day for many moons. Consistency is key when it comes to generating audiences and engaging with your followers, and I also keep forgetting how much fun I have creating content for you! My new plan is post 1x blog and video a week, and a podcast and newsletter once a fortnight. In November, I started working for Paint Chill Co and I teach painting workshops in Southampton every month with them (they’re so fun - and I get to wear a Britney style head microphone!). I’d love to plan and run my own workshops, perhaps some gouache masterclasses or themed crafty afternoons. I’d also like to record tutorials for my YouTube channel about business and how to use Adobe programmes for beginners (basically, all the stuff I wish I saw when I was a student). Let me know what you’d like to see or do in the comments below! It has always been a plan of mine to launch a range of wedding stationery, and now I’ve got the ideas for designs that will hopefully stand out from the crowd! 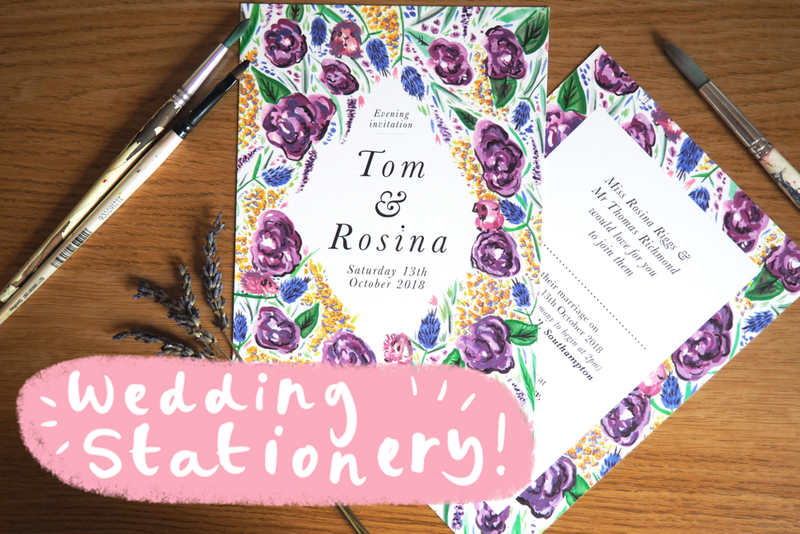 The stationery will be available as digital downloads, as well as printed, and I’ll still offer a bespoke package for couples who want something unique. I also plan to expand the stationery range to party invitations and other personalised prints and gifts - watch this space! So here’s to a fabulous 2019! I’m really excited to see where we will head this year and I hope you join me on the journey!